What is Memphis Family Law? Memphis Family law involves many different types of issues from divorce and legal separations to custody, child support, and adoption. 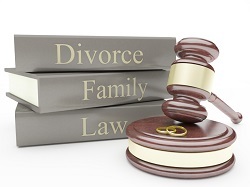 Watch a video of a Memphis Attorney explaining Memphis Family Law and Memphis Divorce Attorney. An uncontested divorce can be a simple legal procedure. In this type of divorce, the parties will agree to how their property, assets, and debts will be divided before filing the divorce. A Memphis family law attorney will assist one spouse in drawing up a Marital Dissolution Agreement, and if there are minor children of the marriage, a Parenting Plan. Once both parties sign these documents, they are presented to the court for approval and to be signed by a judge. A contested divorce is one in which the parties cannot agree as to how the marital assets should be divided or cannot agree on a Parenting Plan without the assistance of a Memphis family law attorney. A Memphis Attorney at the Law Offices of J. Vincent Perryman will be able to walk his client through the process of the divorce and will communicate with the other party’s attorney to reach an agreement. A legal separation is relatively new in Tennessee. It allows a married couple to separate and get child support or spousal support, but is not a complete divorce. An attorney at the Law Offices of J. Vincent Perryman can help with your legal separation. A Memphis Divorce will usually begin with filing a Complaint for Divorce. In this Complaint, your Memphis divorce attorney will include statistical information as well as the allegations that are asserted relating to the grounds for divorce. Tennessee is a state that recognizes no fault divorces by allowing for parties to claim irreconcilable differences as a grounds for divorce. There are also several fault based grounds as well. The Complaint for Divorce will be filed with the court and then must be served on your spouse so that he or she is given proper notice. Once served, your spouse has 30 days to file their formal response known as an Answer. A Marital Dissolution Agreement is a document that is filed with the court that is an agreement between the parties to finalize the marriage. Your Memphis divorce attorney will assist you in the preparation of your MDA. In this document, the parties can divide their marital assets and debts as well as set forth provisions for insurance of the parties. Once signed, there is a 60-day waiting period to finalize the divorce if there are no minor children of the marriage, and a 90-day waiting period for marriages with minor children. A Permanent Parenting Plan is a document that is required if there are minor children of the marriage. This document sets forth provisions relating to shared parenting time, child support, and the ability to make decisions regarding your children’s upbringing including education decisions, medical decisions, disciplinary decisions, and more. This document will contain a child support worksheet that sets forth the amount of child support to be paid. In Tennessee, there are four types of alimony that may be available to you as a result of your divorce. Your Memphis divorce attorney will work to see that you get the right type of support if applicable. Alimony in solido is a type of alimony that is paid as a lump sum payment. It is does not terminate on the remarriage or the death of a party as it is a set amount that is determined based on need. It can be paid in one payment or in installments. Alimony in futuro is also known as periodic alimony. This type of alimony will terminate on the remarriage or death of a spouse unless otherwise agreed. It is subject to modification based on changed circumstances. This type of alimony is very open-ended and can continue indefinitely. Rehabilitative alimony is the statutory preference in Tennessee. This type is designed to maximize the earning capacity of the spouse. It is subject to modification based on changed circumstances and need. It will terminate on the death of a spouse unless otherwise agreed. Transitional alimony is designed to help transition the spouse from divorce to being a single party. This will only terminate on remarriage if the court orders it or if the parties agree. It will terminated upon the death of a spouse. It can only be modified on changed circumstances. If you a considering divorce, contact a Memphis attorney at the Law Offices of J. Vincent Perryman to discuss your legal options. If you would like more information or if you are in need of legal advice or legal assistance, please contact a Memphis Attorney. Providing legal services for Memphis Tennessee and surrounding areas. 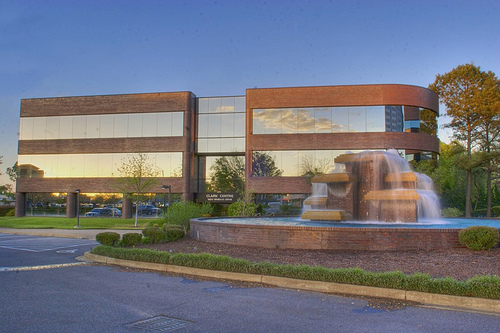 Memphis lawyer and Memphis attorney services. Disclaimer: Use of this website does not create an attorney-client relationship.